Gill from Sardinian Places with photographer Heidi, take us on a road trip in Sardinia, documenting some of the most picturesque corners of the island. San Pantaleo is a charming village with an impressive backdrop of mountains and a pretty piazza lined with colourful blossom trees. Our hotel was perched on the hillside with fantastic views. We didn’t get to spend much time here because we were out and about (yes, that’s right, we were working!) taking photos at every available opportunity. There are some fantastic beaches just a short drive away. Most are signposted but some are hidden, the only clue being a few cars dotted along the roadside. Capriccioli and Li ’Itriceddhi were our favourites and very easy to find. The road to Capriccioli literally comes to an end with a turning into the beach car park so you can’t really go wrong. 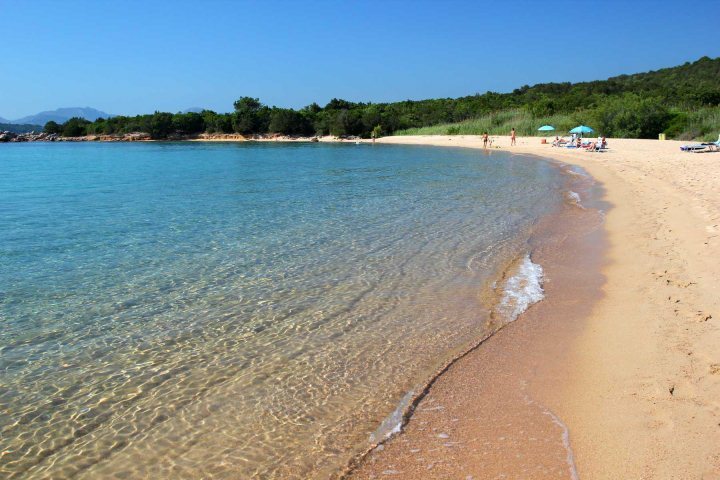 This beach (spiaggia) has a couple of beautiful little sandy bays with clear water. Li ’Itriceddhi can be found on the same road to Capriccioli, but you have to turn off right, down a dirt track to find this one. There is a little signpost, but if you miss it (we did! ), just go to the end of the road and turn around. Li ’Itriceddhi is the first one you come to along this track at the bottom of a slope. There will be a little man sitting under an umbrella manning a car park who will give you a parking ticket with the time on. This is the usual drill for parking next to beaches in Sardinia. Some you pay a fixed price on arrival and others you pay on departure depending on how long you’ve been. We followed the path down to the beach, an easy five-minute walk leading to a beautiful sweep of coastline. Just as described in the brochure, the sea water here is crystal clear, calm and very very inviting. San Pantaleo market, held weekly on a Thursday, has to be the prettiest market I have ever seen. 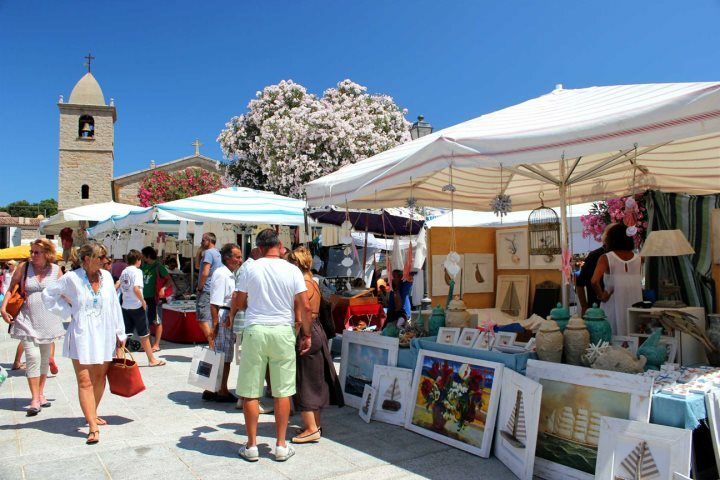 Located on the piazza in front of the church, the stalls offer all kinds of crafts and local delicacies. 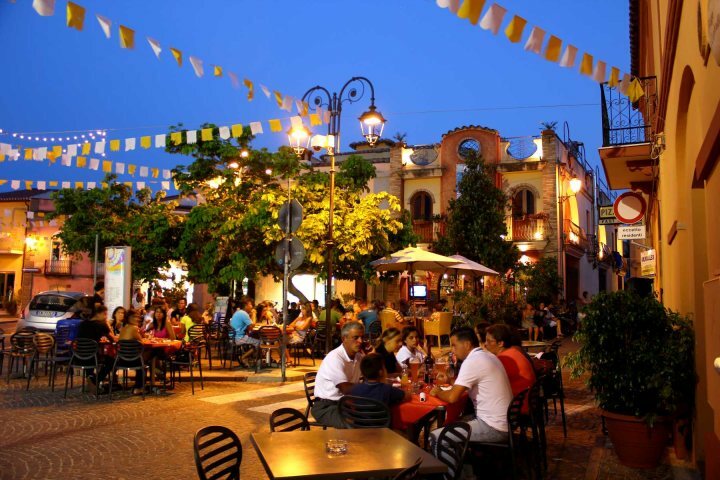 There are a handful of quaint restaurants and bars in the village, and several more in the nearby town of Cannigione. We opted for a quick pizza on our first night, which was enormous, but of course that’s how it is in Sardinia. 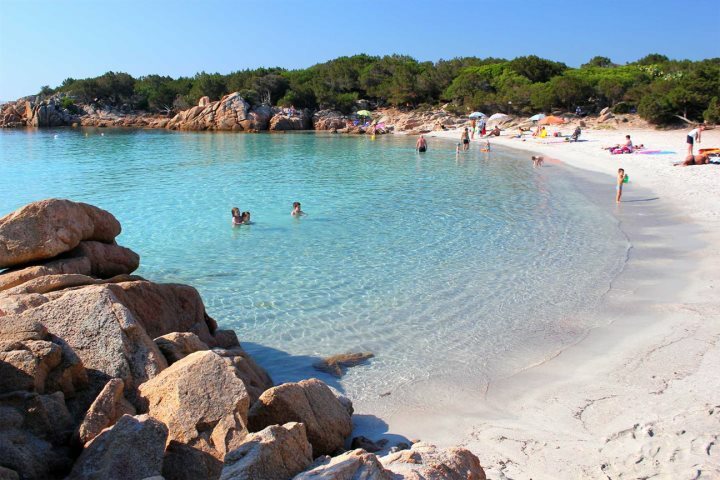 When I first heard we were staying at a hotel in central Sardinia, I wasn’t over excited. I like to be by the sea so I didn’t think I would enjoy being in a rural location. I was proved wrong almost immediately. The Sopremonte region that surrounds the hotel is incredible, jaw dropping stuff including huge mountains dominating lush green landscapes. It really was amazing. As we checked in, we were offered one of their homemade sweets. It was a lovely touch and one that reflects the whole ambience and friendliness of this hotel. I’m a sucker for food so I was of course delighted by this gesture. Little did I know this was just the start of an unbelievable food extravaganza of Sardinian delicacies and gastronomic treats that we would indulge in during our stay. Dinner here is a lavish affair. Everything is homemade using products from the local Oliena region and served in the most wonderful restaurant with an open-front overlooking the pool and countryside beyond. We were given a glass of pink bubbly as we perused the menu. The hors d’oeuvres were a beautifully presented buffet of salads, cold meats, roasted vegetables, fish, cheese and olives. Next was a choice of pasta dishes. All homemade and from what I tried, absolutely exquisite. As if that wasn’t enough there was then course three, the meat and veg course. I chose pork, slowly roasted over an aromatic fire with roasted aubergine stuffed with Sardinian cheeses. My mouth is watering remember how utterly heavenly this food was. And of course then there were the desserts! 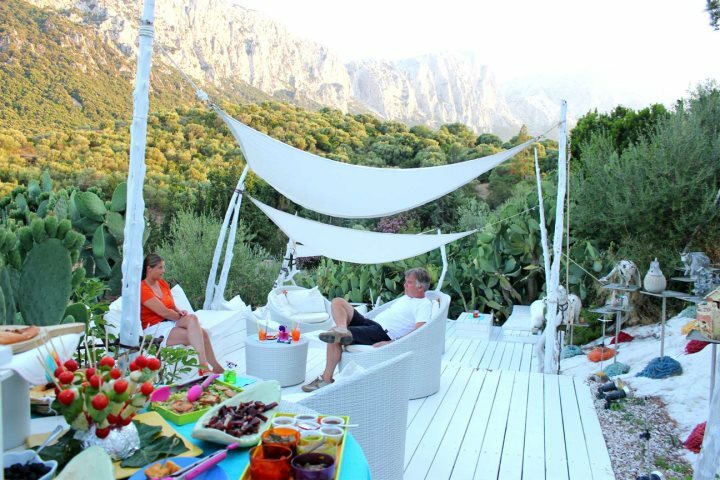 Besides the food, this hotel has several different terraces where you can escape and enjoy the peacefulness and the views. ‘The terrace of dreams’ is a little area with a hammock, the bar Tableo has free aperitifs each evening and the bar gazebo piscine has a cool mist spraying to keep you comfortable in the heat. This is in addition to the spa, mini golf, art exhibition, shop, wine cellar with guided tours and a playground. All this is dotted amongst vast grounds and herb gardens. Su Gologone really is a little hidden treasure which I hope to revisit again soon. The other great thing about Su Gologone hotel is that it is only 30 minutes from the coast. We took a boat trip from Cala Gonone to visit the hidden coves, inaccessible by road or foot. The coastline is dotted with grottos and spectacular headlands. It reminded me a little of beaches in southern Thailand. The beaches in Sardinia along this stretch of coastline are breath-taking with the most turquoise water I have ever seen, lapping on perfectly white smooth pebbles. The contrast between the two is a beautiful sight, though I have to admit, a little tricky to walk on at times. 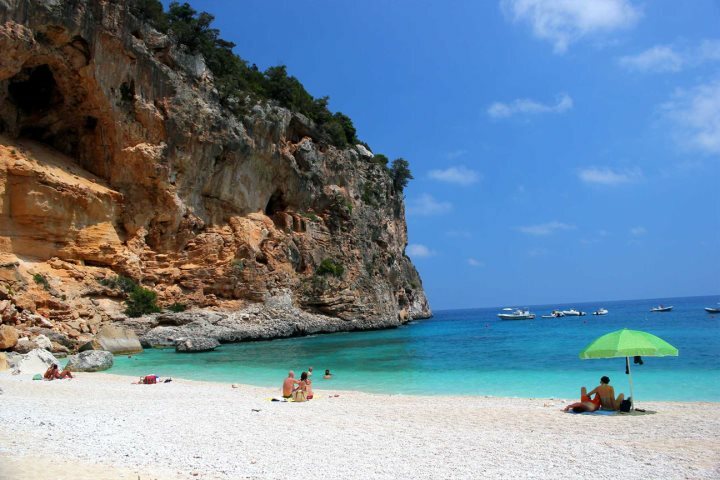 There are several boat trips that depart from Cala Ganone to these beaches and I would thoroughly recommend it. You will get some fantastic photos, and if you choose to travel on a smaller boat like we did, not only will you get a more flexible route suited to you, you may get to experience the fun of sailing with an eccentric Italian skipper! To top off our short time in this central region, we took the S125 road from Dorgali to Baunei on our long drive south. This road is one of the most scenic on the island, clinging and climbing through the mountains with lush green valleys in between. There are several view points along this route to stop and admire the view. Our final three nights were spent at Nora Club Hotel in Pula. An intimate hotel with only 25 rooms set alongside the pool but shielded by the tropical gardens. The hotel is only a 15-minute walk from the town centre which centres around two piazzas. It was a lot livelier here with lots of restaurants, gelaterias, and street performers. 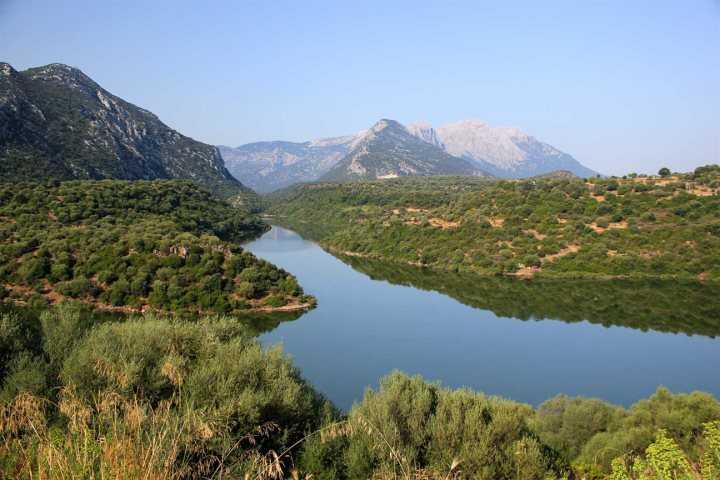 The beaches in this area are equally as good as those we saw in the north and with so many to choose from you will literally be spoilt for choice. Would you like to follow in Gill’s footsteps with your own adventure around Sardinia? Check out our range of touring holidays across the island. Share your experiences of Sardinia with us by commenting below.